I mentioned in my previous post how I am dreaming up changes for the dining room while we have it torn apart. 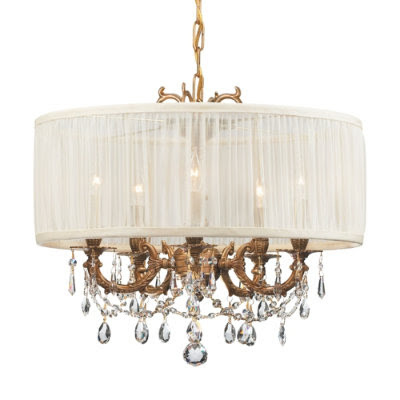 One of those changes to The Hubster's dismay I am thinking of is the chandy. This is the chandy that came with the house. It was nice but it just was not our style. If it did not have the globes I probably could have revamped it to work. I want some bling and I am tossing back and fourth shades. This is soooo pretty but wayyyy out of my price range. I think I saw it on Ballard. Then there is this one which is a totally differ direction. I really do love it but I think I need something more. I am really wanting to stay at $100 or less but bling does not cost $100 or less....sigh... so I found this very pretty chandy on Amazon for $160. I really like the finish on it and it certainly has made it to my short list. Then I found this one on Lowes.com. It is on clearance for just $80 and right up my alley! It is a 6 arm but looks like a four arm in the pic. I was ready to jump on this deal but sadly it is sold out on line and not avail in any Lowes near by. Sigh again. I think it would have been perfect. I was also able to find it on another site for $120 and then another $25 for shipping so that is an option. 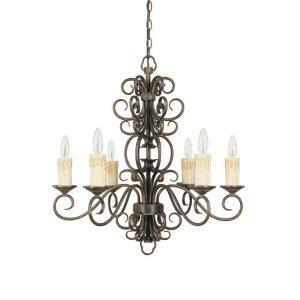 Then there is this overstock chandy on HomeDepot.com. It was over $300 and now just $129! A great deal and a top contender. It lacks the bling I am wanting though I guess I can always buy some bling and add it. 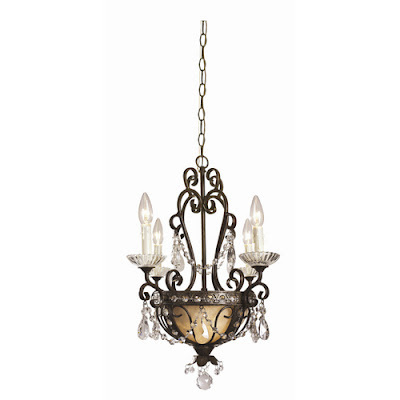 Bling for chandy's can get expensive though. So which one that IS in my price range would you pick? I think tomorrow I am going to check out the two Lowes near us and see if they might have the $80 one by chance or even a floor model they are willing to sell me. 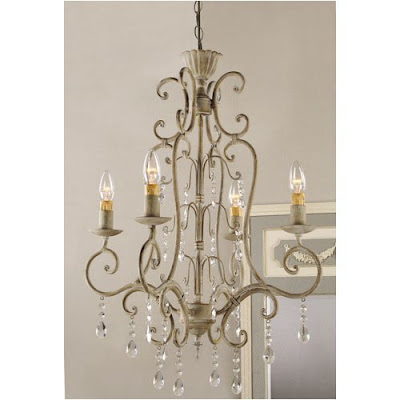 I got the cute lil' chandy over our kitchen sink that way so maybe I will get lucky again. I'm going through the same process right now trying to pick out new lighting for my foyer and dining room! Ugh! Everything is sooooo expensive but I LOVE that one you are on the hunt for and think it is just gorgeous. Good luck friend! Good luck...can't wait to see which one you pick! HI new friend!!! 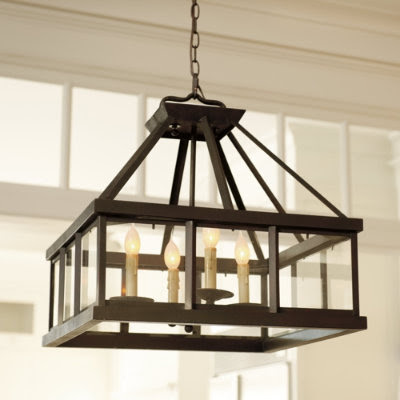 I love these chandys, in fact I have the lowes one in my desert home...but I really want that amazon one, let me know if you don't get it...it's too pretty to pass up..